The Brookfield CT-3 Texture Analyzer is a powerful universal testing machine that offers both compression and tensile testing at a much lower price than other testers in its class. The CT3 can calculate, through compression and tensile data, a number of physical properties that have proven to be highly correlated to human sensory evaluation of food and other consumer products. With six built-in test modes and ten memory slots for operator-protected tests with administrator rights, a wide choice of accessories and an optional software package, the CT-3 is perfect for most any physical testing requirements. The CT3 performs like a high end texture analyzer but at a fraction of the cost. Its uses can expand with your applications - or your testing imagination! The CT3's easy-to-operate design will have your R & D and QC up and running in no time. To see a complete listing of the fixtures and probes available, please download our CT3 brochure. Need help? Our education section may be just the thing to clarify unfamiliar terms and help start you on your way to a better understanding of texture analysis. 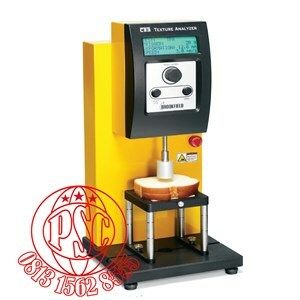 Test and Recommend to determine the appropriate CT3 equipment for your application. Sample Profiling to determine specific properties of your sample. Dispute Resolution for mediating a resolution between producers and/or suppliers which each has different results for the same material. Multiple Sample Test expands your lab capabilities by using Brookfield to accomplish testing.